My apologies but much has been happening since my last post that it has been near impossible to write much for the blog. Normal service for the Page has, however, resumed so I hope you have followed the posts there religiously, as all the pics, vids, links and other stuff related to OPUS 2 has been shared as and when I got them. NB: I am writing this post now as Jay is rushing over to the TV station for after his autograph session at Ximending this afternoon, which stretched from 2pm all the way till now, as more than 4000 fans had gathered there (instead of the expected 1500), Jay did not want to disappoint anyone and vowed to continue till everybody had gotten their CDs signed. How tired must his hand be??? Jay arrived in Singapore on 26 December to a warm welcome from members of the Jay Chou Malaysia and Singapore fanclub, He breezed through fairly quickly and did not stop for photos. 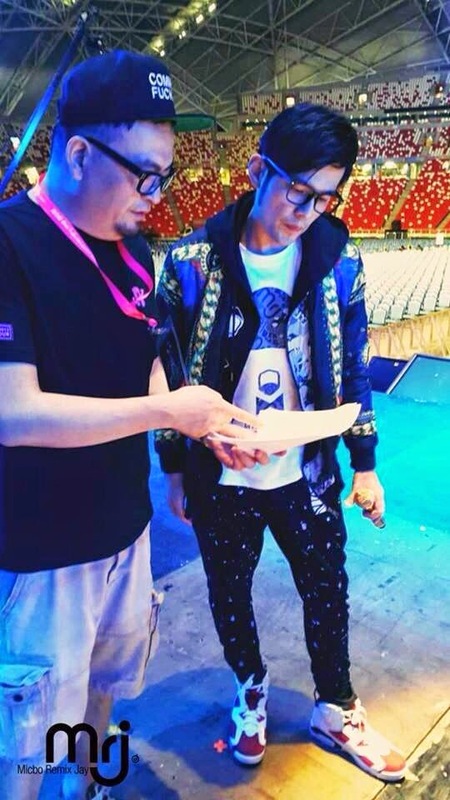 I'm sure he headed straight to the stadium for rehearsals and there was a very nice pic released on his official Mr J FB Page soon after. Doesn't he look great, all serious with glasses on?? He also paid a visit to his PHANTACi pop-up store at Scape and I was fortunate to receive information in time to hotfoot it there and see him. OPUS 2 JAY was awesome. My seat position was bad, but when all is said and done, I was just very very happy to see him in Singapore again and to hear him singing. The airport send-off the next morning was unforgettable. I believe pictures tell a thousand words and as I'm rather high now from all that's been happening the past week, coupled with feeling lazy to write after all the information overload, here are the links for the albums on Facebook for the mentioned events in the title of this post.